Jersey City has the second largest population in New Jersey, falling just short of Newark. With over 250,000 residents in the city, various groups have stepped up to make their home a more beautiful and efficient place to live. 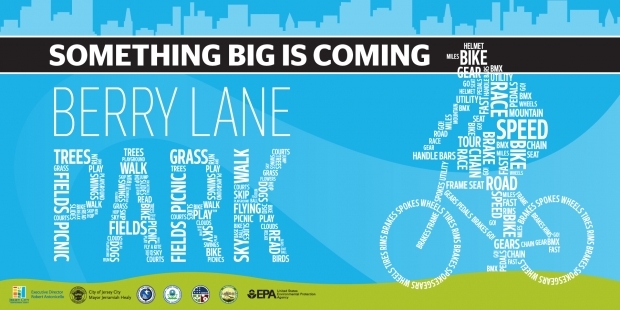 Whether it’s the city’s captivating street art, safer areas for kids to play, or a more eco-friendly method of transportation, Jersey City officials and residents are making conscious efforts to improve quality of life. Spread across a multitude of Jersey City buildings live colorful paintings, murals, and galleries that bring life and color to the streets– however, very few know why these pieces were even created. Most of these creations were brought into fruition by the efforts of the Make > Shift > Gallery project. The Make > Shift > Gallery project runs under the supervision of the Office of Cultural Affairs, the Department of Public Works, and the Office of Innovation and aims to enhance the appearance of vacant and abandoned properties by renovating the space through artistic installations. Brian Platt, the director of the Office of Innovation, explained their hope to allow aspiring business owners to envision themselves in these spaces while also making the buildings more visually appealing. In an article featured on The Roosevelts, Jersey City was projected to be the new “Street Art Mecca” of the world. According to the U.S. Census Bureau’s American Community Survey, Jersey City is home to one of the highest percentages of street artists in the country. The Make > Shift > Gallery project calls for local artists’ involvement in creating galleries, paintings, and other forms of art in these vacant spaces. Before the launch of the project, the departments involved held a series of surveys, focus groups, and interviews to determine what residents and business owners would like to see fill these vacancies. The most popular answers included more community involvement, enhanced public services, better upkeep on building facades, and access to more diversity of businesses. “We are hoping to partner with communities and make sure they are involved in branding and marketing of their neighborhoods and adding artistic elements to the streets.” says Platt. While these teams are working to create a better view through artwork, renovations of Jersey City’s parks are also a large project for divisions such as the Department of Public Works, whose goal is to improve Jersey City’s infrastructure through maintenance and repair of roads, parks, traffic signals and signage. “We are doing a lot of projects in house such as installing flower pots, banners, painting of street corner and doing a lot of things that I’d like to say is beautifying Jersey City,” said Mark Redfield, the Director of Public Works. One of the department’s most vital projects is Pershing Field Park. The Jersey City Council approved approved over $850,000 in August 2015 for renovations. The playground area is currently under construction to improve the jungle gym for older children as well as the toddler section. “Investing in parks and green space is our way of creating places for our community to come together and grow,” said Jersey City Mayor Steven Fulop. A similar renovation was made to Village Park, formerly known as First Street Park, led by the Village Neighborhood Association in collaboration with the Jersey City Parks Coalition, the City of Jersey City, and the Jersey City Landmarks Conservancy. The park was opened last month with a ribbon-cutting event hosted by the mayor. “Village Park was in deplorable condition and had been abandoned for years but within 8 to 10 months we were able to renovate and open them up,” Redfield explained. The Jersey City Recreation and Open Space Master Plan, which began its process in 2006, is a document written by the Jersey City legislation which outlines the development and renovation of roughly 65 parks in the city. The plan demonstrates how officials plan to rehabilitate existing recreation facilities, build new recreation facilities and prioritize the improvements over a 10-year period. The largest of the restorations is Berry Lane Park, located on Garfield Avenue. When open next month, the project will provide a 9% increase in the amount of useable open space in Jersey City. Under the direction of the Jersey City Redevelopment Agency, this project will transform more than 17 acres of land—including junk yards, rail yards and warehouses—into a recreational amenity equipped with a full-size baseball field, full-length football and soccer fields, two tennis courts and two basketball courts. 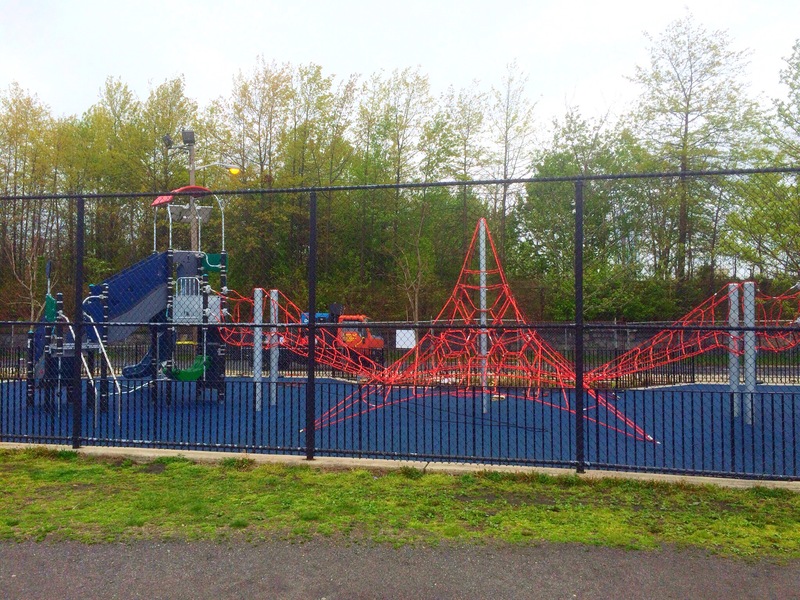 In October 2014, the New Jersey Economic Development Authority awarded the city $5 million to complete the construction of this $35 million park. While these funds will further assist constructing Berry Lane Park’s fields, it is also being used toward the park’s tree-planting and landscaping. The Jersey City Environmental Commission found that Jersey City has only a 17% tree canopy when a city of this size should have about 44%. The tree-planting initiative, taken within various communities in Jersey City, is ran under the Jersey City Parks Coalition. The coalition is a not-for-profit organization who empowers residents to develop, renovate, and maintain parks and public spaces. The City of Trees project was adopted by the organization to promote healthy trees and are projected to plant 5,000 trees over the next five years. By hosting training days, such as the Tree Keepers Workshop with the NJ Tree Foundation, the Parks Coalition encourages volunteers to share the responsibility of planting and caring for trees. Using the Open Tree Map app, the group can pinpoint areas that require the most planting. The Department of Public Works has also taken initiative to make the city more green through their Parks and Forestry division by accepting applications for tree-planting locations. “This spring alone, we’ve accepted 250 applications for spring tree planting, which is the most we’ve ever had,” said Redfield. While Jersey City is actively working to enhance the city’s parks and plants, they are also making conscious efforts to improve other forms of recreation throughout the city. The introduction of Jersey City Citi Bikes is making strides toward improving congestion and keeping the city healthy. The city’s five-year contract with Citi Bikes was launched in September 2015, bringing a 350-bike, 35-station system online and to the city’s streets. Citi Bike Jersey City is fully supported by sponsorship and other revenues, making it the only bike share system in a mid-size city to operate without public funding. The Citi Bike website allows users to become full or subsidized members, with various packages available depending on buyer needs. The program allows members to pick up a bike from any of the 35 stations, ride, and return the bike to any of the stations. The city has already began accommodating these new cyclists by adding over 22 miles of bike lanes to the street grid. According to a European Cyclists Federation study, the carbon dioxide emissions from cycling are over 10 times lower than those stemming from a car, meaning biking rather than driving can provide a substantial decline in Jersey City’s air pollution. Along with the efforts to create a more visually-appealing city, improvements such as the City of Trees initiative and Citi Bike program are also creating an environmentally-conscious city. These projects are not only making Jersey City beautiful again, but greener as well. Let us know below what you think about these innovations in Jersey City!